Last week, we reported on the return of Kia's Soul-promoting hamster mascots. They took on "Dueling Banjos," and it was adorable and entertaining and everything we expect from our favorite spokesrodents. But that same spot also hinted at something strange on the end slide – a Soul Turbo, coming this winter. One Autoblog staffer said I must have been so overcome by the return of my favorite spokeshamsters that I missed the end slide the first time around, and that might be true. Instead of debating that, let's focus on just what Kia revealed here. The company has long hinted that a higher-performance Soul was in the works, embodied by the Track'ster and Trail'ster concepts from 2012 and 2015. Both cars used a version of Hyundai/Kia's 1.6-liter, turbocharged four-cylinder, tuned to 250 hp in the Track'ster and 185 hp in the Trail'ster, which had the added bonus of a hybrid assist. Both added all-wheel-drive systems to the front-drive Soul package. 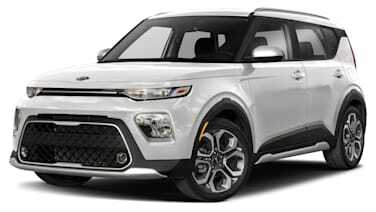 A production Soul Turbo will likely fall between the hot-hatchback-like Track'ster and the off-road-focused Trail'ster. Expect Kia to pluck the corporate 1.6-liter turbo four for duty, with anywhere from 175 to 201 hp – we can hope for more, but that power spread covers Hyundai/Kia's current production trims for this engine. All-wheel drive seems like a given, based on Hyundai's approach to the Tucson, Kia's past few concepts, and the Soul's positioning as a sub-compact CUV. We've reached out to Kia for confirmation that the Soul Turbo is coming. As soon as we hear back, we'll update this post. And if you need a refresher on the video, we've embedded it below. The text in question pops up at 1:46.